Josh could be the one to have the most success of anyone from The Voice this year. So I was able to catch some of the last episodes of The Voice this year. I was mostly watching to see if Billy Gilman, former country star, would pull it out. 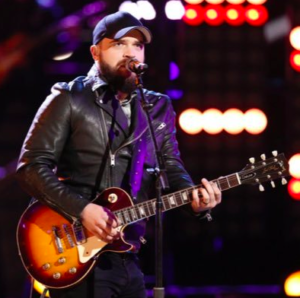 Billy was great on the show, but I was pleasantly surprised to see that country music was well represented on the show including Josh Gallagher. He was singing this original song and if I wouldn’t have known any better I would have thought I was watching a performance on CMT. This song has the feel of a radio hit. Put Justin Moore, Blake Shelton or Luke Bryan on this song and you know it would be a smash hit. I’m hoping it’s the same for Josh. The song is about the familiar small town life that has always been part of country music. With the rise of Bro Country the last few years we’ve gotten quite a few songs like this and it’s been a good thing. It’s nothing new in country and it really gets to the core of something that country fans love – small town life. When things get a little crazy it’s always good to remember your roots. Small town life is one of the really great things about America. And somehow with this song Josh was able to find a new melody and a new way of singing about small town life. And it’s not about any particular small town. It’s about everybody’s small town. That’s pretty cool. I really hope this one finds life on the country radio charts. I think it will. It certainly is a great song. Written by a great artist. It deserves to be a hit song on the radio, for all to enjoy.